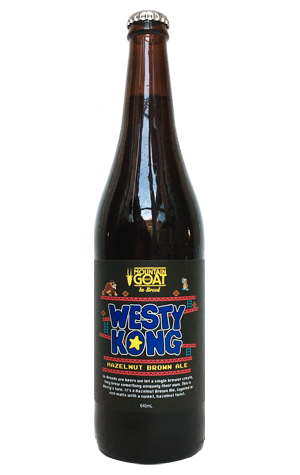 Given his role at Mountain Goat involves being both brewer and barrel man, you'd think Craig "Westy" Westwood might have opted for something barrel aged for his latest entry in the brewery's In Breed series (so called as they're created by people that work there). But, aside from the barrels that appear on the Donkey Kong† aping labels, they are nowhere to be seen. Instead, he's returned to the realm of brown ales, as he did for his first In Breed four years ago. † We originally wrote King Kong. It had been a long week...!